Katie McLaughlin is a core developer of the BeeWare project with a background in tons of languages and lots of experience speaking at conferences. 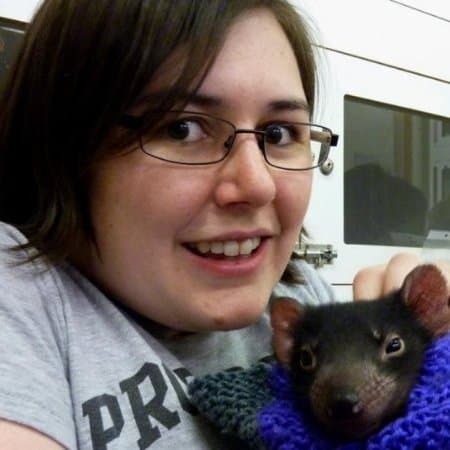 This week, we welcome Katie McLaughlin (@glasnt) as our PyDev of the Week! She is a core developer of the BeeWare project. You should take a moment and check out her Github profile to see what fun projects she’s a part of. Katie also has a fun little website and was a speaker at PyCon 2016. Let’s take a few moments to get to know her better! But what languages do I know? That’s a tough one. Personally, I’d define knowing a language has having a working knowledge of it. Put any language in front of me and I could probably work it out, but writing is completely different. But as for a favorite, I know I adored Poplog back in the day, but I really don’t play favorites with languages. I use a programming language in an environment to articulate a solution specific to that environment. Using a favorite language in an environment where it doesn’t belong doesn’t do anyone any favors. My major open source project right now is BeeWare, of which I’m a core developer. You may have heard of it as that project with the shiny coins. BeeWare is a set of tools and libraries that allow you to write applications in Python and deploy them anywhere—not just on the web, but on Android and iOS. I’m also the core dev on two other projects: octohatrack, an application that shows the total number of contributors to a GitHub project, not just those who contribute code to master, and emojificate, a module and Django template helper that helps to make emoji more accessible on the web. Python, now 25 years old, has generally been a server-only language. With the advent of Django about 10 years ago, it moved into web. And there’s also foundations of Python in other spaces, such as in data science and education. However, Python runs the risk of being left behind as more development happens away from the server. A recent IEEE survey of languages puts Python towards the top of the list, but without a solution for embedded systems or mobile. The Python community is wonderful. I’m only relatively new here, but the community has embraced me with open arms—the django community, especially—and I feel at home here more than I have in any other community. It’s wonderful.